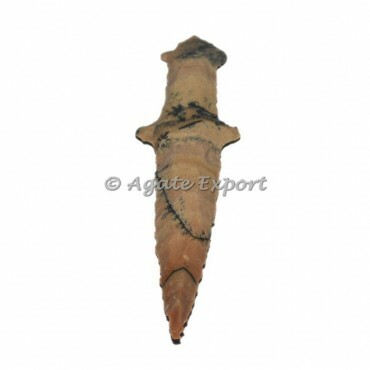 Agate Export have unique desgins for Indian Agate Sword. It is higly polished gemstone in Arrowheads shape which represents a specific energy. Contact Us to avail this product at a wholesale price. This Agate Sword can be customized as per your preference for logo and design.